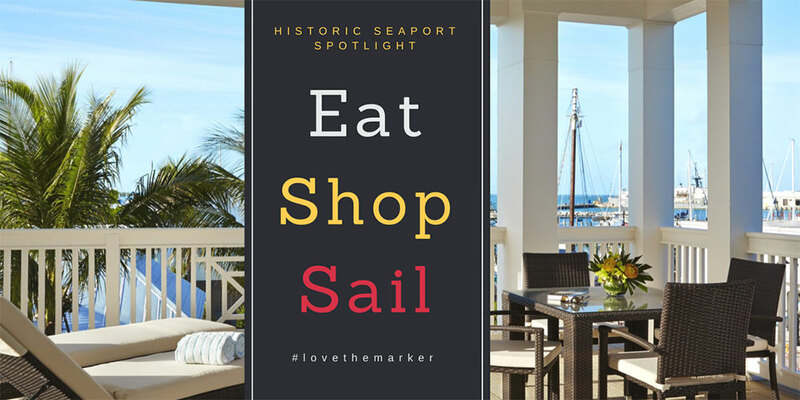 The Historic Seaport is a stone's throw away from our doorstep, and so are some of the best Key West restaurants, shops, and water adventures. Here are three of our favorite places to eat and drink, shop and play in paradise: Key West's Half Shell Raw Bar, Local Color and Danger Charters. 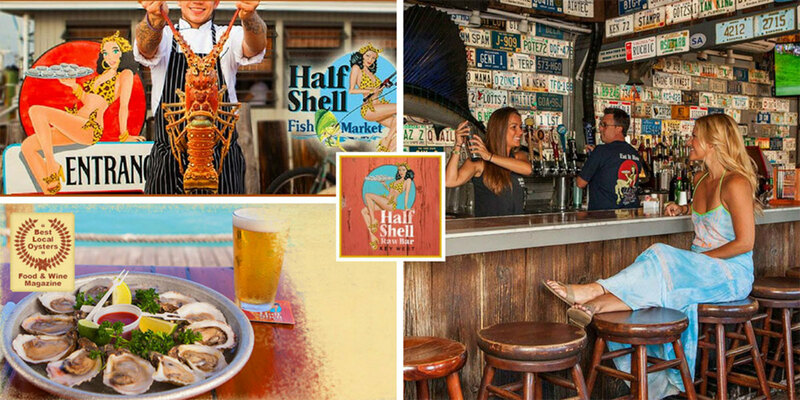 A taste of Old Key West and one of the best places to get fresh seafood can be found nearby at Half Shell Raw Bar. It's a restaurant, raw bar and fish market serving up the freshest fish on the island in a laid back casual and friendly atmosphere. "Eat it Raw" and welcome to Half Shell Raw Bar! Put your diets on hold and indulge in the catch of the day or try the broiled garlic oysters, a basket of fish and chips, steamed middleneck clams, the chilled Key West peel and eat shrimp or the Half Shell's conch ceviche. View the Menu. Happy hour is from 4:30 - 6:30pm every day with specials on shrimp, oysters, clams, and drinks. It's a favorite amongst the restaurants at the Historic Seaport so don't be surprised if there is a short wait. Grab a beer, meet new friends and watch the local fisherman unloading the day's catch to Half Shell's Fish Market. If you get your timing right, you'll be able to enjoy a great meal and exeperience our world famous Key West sunsets. Let's talk about the Jewelry ...It's off the charts! If you are looking for something small or that beautiful statement piece, this is the place to go. Local Color carries one of the most extensive selections of Dominican Larimar and Baltic Amber. While you are there make sure to check out the original KW Bracelet, a unique original design you can only find at Local Color. A picture speaks a thousand words and this photo taken from Danger Charters says it all. 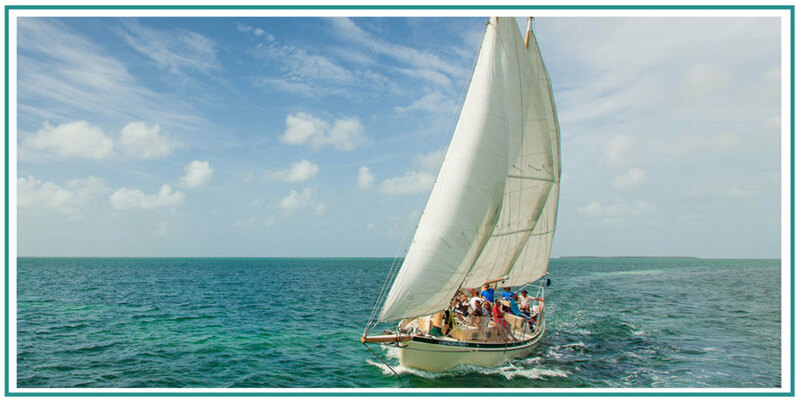 Come sail away and enjoy the adventure of a lifetime in Key West. When you sail with Danger Charters, you sail to another world and time; to a place where the wildlife is still "wild" and your interaction with nature is intimate and authentic. Explore the backcountry in the Florida Keys on a secluded island kayak tour in paradise. The Danger Team and Guides are with you along the way. You'll learn all about the mangrove eco-system while paddling through a maze of mangrove-canopied canals and streams, that are home to an incredible tropical array of birds, rays, sharks, sport fish, and more. They also have a Wind & Wine Sunset Sail that has been rated the #1 Thing to Do in Florida via TripAdvisor.com for three years running. Coastal Living Magazine also ranked Danger Charter's Wind and Wine Sail one of the top two Sunset Sails in all of North America.